Helicentre Aviation Academy has launched a brand new EASA helicopter Flight Instructor (FI) programme to meet its demand for instructors on the Cabri G2. 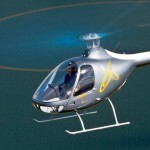 The Cabri’s success as a training helicopter has been immense. It’s selection as the primary platform for students enrolled on the Helicentre Aviation Academy BSc (Hons) degree programme (a joint initiative with Middlesex University) has substantially increased the requirement for standardized FI’s within the company. Head of Training Captain Sarah Bowen, who has become the first Flight Instructor Course (FIC) instructor in the UK to qualify under EASA, is extremely excited about the programme. “Our goal is to raise standards within the training industry by adding valuable experience to the qualification” she remarks. “Newly qualified FI’s have a steep learning curve ahead of them. Getting through the six-week FI course is just the beginning – what makes a real difference is having the opportunity to develop as an instructor within a structured and well supported training environment”. Helicentre Aviation has mentored a large number of instructor graduates over the last 15 years. For many it has been the much needed break to make their mark in the industry, allowing for a smooth transition into other flying roles within the company such as aerial survey, utility and charter. Others have progressed onto corporate, police and HEMS roles both in the UK and overseas. The bar has been raised even further with the freshly re-structured, CAA approved FI course. Having the company’s own Head of Training deliver the programme will provide an even higher level of standardization to FI graduates. The first two students begin training under the new programme next week and have already been offered full time positions as Flight Instructors subject to successful completion of the course and a formal interview. FI courses are also available on a number of other single engine helicopter types. Helicentre Aviation Academy is eager to hear from anyone considering a career as a Flight Instructor due to the ongoing need for motivated and appropriately qualified training staff. The team will be on hand to offer careers advice in the Learning and Skills Zone at Helitech International on 6th-8th October 2015 at London’s ExCeL. Existing commercial helicopter pilots and those exploring training options are invited to stop by stand K10 and talk with Helicentre Aviation’s instructors and staff about career opportunities.